We are super excited to be able to announce the 2018 Sing & Sail Christian Cruise! Mark your calendars because this cruise will be incredible! We’re not as seasoned cruisers as some, but the way we can go is if there is enough of you that come with us. We’d love to host you and your spouse or family…It’s rare that you get the cruise experience coupled with the friendly environment and input of Christian music and seminars. 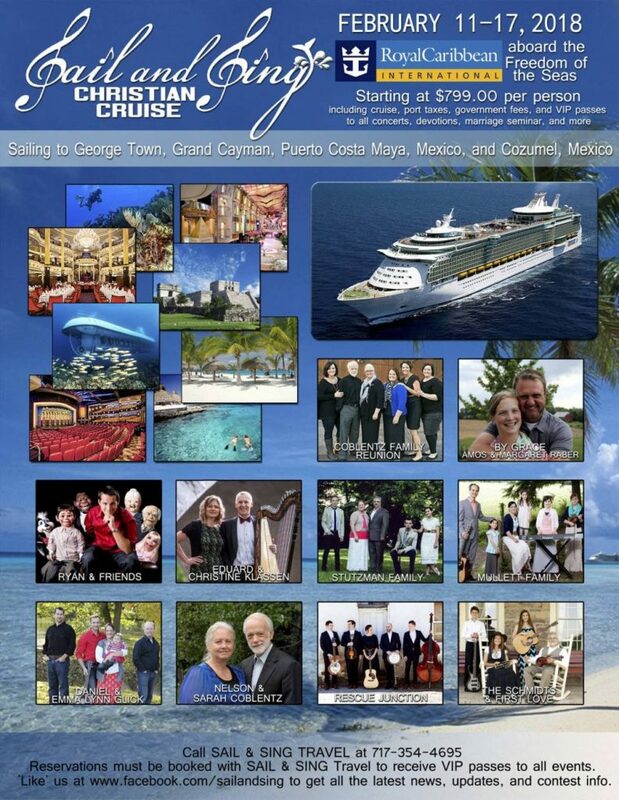 Whether you have never been on a Sing & Sail Cruise or have gone several times, this would be the perfect one to join! Even though it’s a year and a half away, the rooms go quickly, especially the less expensive ones. So don’t wait too long to book!! If you book by July 12th, 2016 you will receive FREE onboard credit for each room! Details are below. 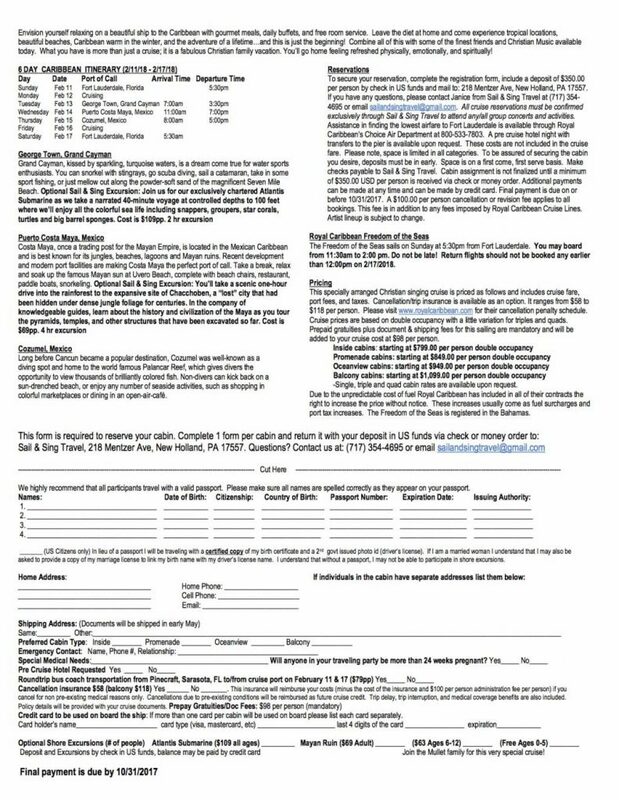 Don’t forget to mention “the Mullett family” when you sign up.